Beautiful ears are symmetrical and not protruding. 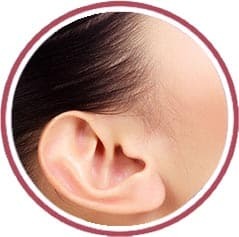 Most common aesthetic problems of the ear are ears that are extremely prominent. Bat ears are too important. This is often treated in childhood, but also later in some cases. 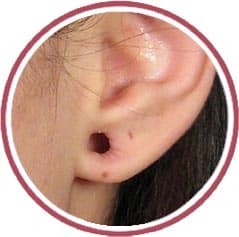 Large ear holes occur at the lower soft part of the ear can be too large or may get large because of ageing. 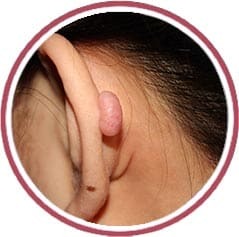 Split ear lobules occur due to heavy earrings and pulling of earrings. 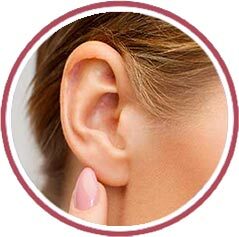 The ear lobules are very soft and in many cases, pulling off the studs leads to the ear lobule to tear. Ear piercings are the perfect way to add to your beauty. Look Whether you prefer simple studs or statement jewels, adding an earring can make all the difference. At Ambrosia, you can get ear piercing done along with medical supervision. 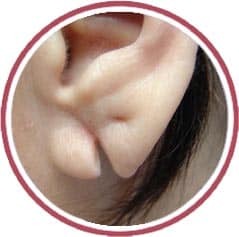 Ear lobule in young people is plump and perky. With age, ear lobule gets thinner and wrinkly. Thin and weak ear lobule can not support the earring. This thinning happens due to loss of volume that is seen with ageing.